The 4th of July is just a few days away. Over 74 million people will be barbecuing on that day. That is a lot of fire! Here are a few simple grilling tips for those of us who don't grill often enough. 1.Trim the fat to 1/8 inch on your steaks to prevent flare ups. 2. Use tongs when turning meat. If you pierce the meat with a fork, the natural juices will escape. 3. Marinate your meat to add more flavor and to tenderize it. 4.Soak wooden skewers in water for at least 20 minutes before using them on the grill. 5. If you have a flare up on the grill don't try to douse it with water. If you are using a gas grill, close the lid on the grill and turn down the heat until the flame goes out. If you are a serous griller or want to be, check out the Nibble Me This blog for more grilling tips. Chris has a background in occupational safety and health. His expert knowledge and engaging sense of humor makes his blog a must read. Friday is going to be a BIG day! Pam from Pam's Midwest Kitchen Korner will be live on my radio show called Fast Food Fridays on the PCL Radio Network. 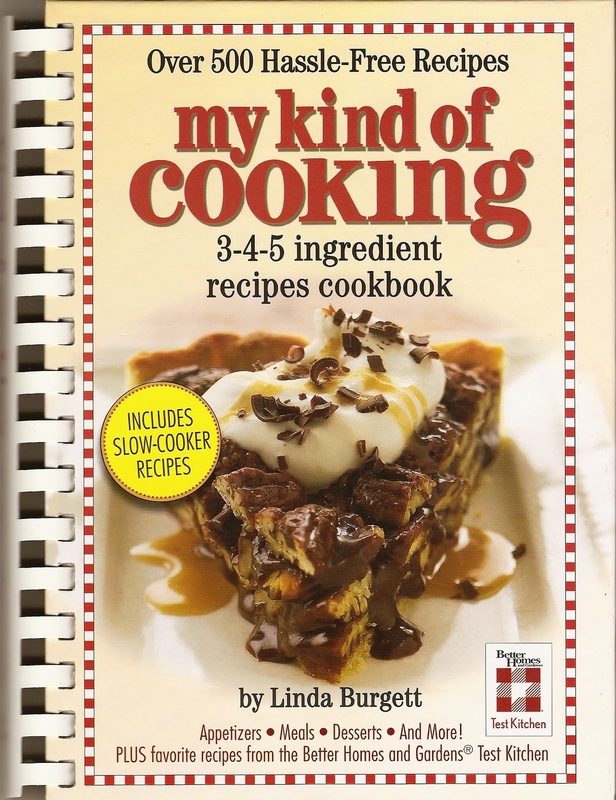 She won my cookbook in June. You can listen over the internet by clicking on the PCL link. We will be on around 8:20 a.m. mountain time. Also on Friday, I will be drawing a name from my followers to win a copy of my cookbook called MY KIND OF COOKING. If your name is drawn and you have a blog, I will mention your blog address on the radio and then post your blog address on my blog. Preheat oven to 400 degrees. In small bowl, combine muffin mix, egg and milk. Mix until just blended. Fold in cranberries. In greased muffin tin, fill cups to 2/3 full. Bake 10 to 12 minutes. Makes 6 servings. Recipe can be found on page 215 in MY KIND OF COOKING COOKBOOK. I love this muffin! The sweet and tart cranberries are a nice addition to the savory corn muffin. Not only are the cranberries delicious, but they are full of antioxidants, vitamin C, and fiber. You can serve this muffin for breakfast, lunch, dinner, or as a tasty snack. Sing up as a FOLLOWER for your chance to win! The next drawing will be Friday, July 2nd. Fast Food Friday's on the The PCL Radio Network. Pam of Pam's Midwest Kitchen Korner. Did you take Home Ec when you where in high school? Did your school even offer Home Ec classes? It was my favorite class when I was in high school-working side by side with my friends to make delicious food. Oh, the happy memories! The first thing we made in the class was an incredible Applesauce Muffin. Maybe that is why I love muffins so much. 1. Measure ingredients, don't eyeball it or estimate the amount you are using. Level off measuring cups and measuring spoons with the back of a knife. 2. Always mix the dry ingredients in one bowl and the wet ingredients in another. Make a well in the middle of the dry ingredients. Pour the wet ingredients into the well. 3. Don't over mix. The batter should be lumpy. 4. Preheat your oven. Place your pan on the rack in the middle of the oven. 5. Dust nuts and fruit with flour before you add them to the batter to keep them from sinking to the bottom of the muffin cups. 6. Grease only the bottom and halfway up the sides of the muffin cups. The batter will cling to the sides of the cups giving you nice rounded tops. 7. Use an ice cream scoop to fill muffin cups to 2/3 full. 8. Fill unused muffin cups 1/2 full with water for even baking. On Friday, I will be posting my quick and easy Cranberry Corn Muffin recipe. Melktert or Milk Tart, is a traditional South African dessert. My husband loves this dessert! He practically ate his weight in melktert when we were in South Africa. This is my last South African post. Next week it will be back to normal, with quick and easy recipes. Preheat oven to 375 degrees. In large bowl, combine butter and sugar. Mix until smooth. Add egg yolks. Beat until light and fluffy. Add flour, baking powder, and salt. Mix well. Add vanilla and milk, one cup at a time, mixing well after each addition. Mix well. Batter will be thin. In small bowl, beat egg whites until stiff peaks form. Fold into batter. Pour into two prepared pie shells. Sprinkle topping over top. Bake for 25 minutes. Reduce heat to 325. Bake 25 to 30 minutes. The center will be slightly jiggly. Cool. Refrigerate. South African's love their tea! They serve black tea with warm milk and sugar. When I first went there 12 years ago, I hated it. By the end of our two week stay, I was hooked. I loved the teas so much; when I got home I purchased a Mrs. Tea machine so I could brew the perfect cup of tea. I now have a cup of this delicious tea almost every morning. I love the yogurt! It has double the cream of our yogurt here in the good old USA. The consistency is thick and creamy, almost like a custard. Is is also filled with big chunks of juicy fruit. I started almost everyday with yogurt topped with Muesli Crunch and a mince cup of tea. Grapetiser, oh how I love thee! There are white and red Grapetisers. They also make Appletiser and Peartisers. I love them all! They are a carbonated fruit drink. Light and refreshing. A great alternative to soda pop. Melktart or as we call it Milk Tart, is the dessert of South Africa. My husband loves this dessert! It has a custard like filling with a sweet crust. On Friday, I will be posting the recipe. Our friends in South Africa love Biltong. It seemed like everywhere we went, people were asking if we had tried it. Biltong is a dried jerky kind of product. It is lightly spiced and has a high fat content. I did not like it. It was too fatty for me. But if you visit South Africa give it a try. Last week I posted a recipe for Bobotie. This week I am posting the side dish they served with the Bobotie. I loved this rice dish! It was sweet and savory at the same time. Once again, I talked my friend into giving me her family recipe. In large saucepan, bring 6 cups of water to a boil. Add all ingredients except the rice. Boil 2 minutes. Add rice. Bring to a boil. Reduce heat. Cover, simmer 20 minutes. Remove lemon rind and cinnamon stick before serving. Next week will be my last week to post pictures and recipes from my trip to South Africa. My pictures on Tuesday will be a few of my favorite things to eat and drink in South Africa. 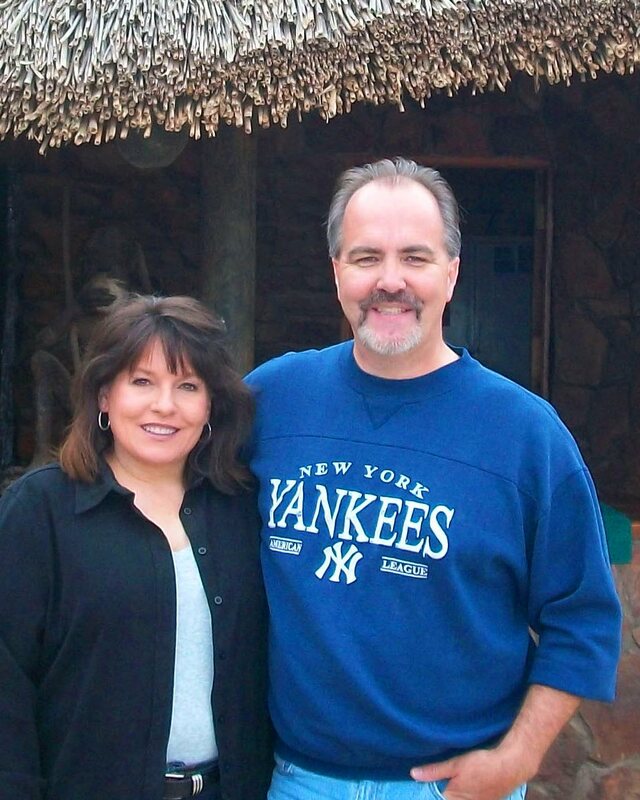 On Friday, I will post my husband's favorite South African dessert. South Africa is a country with great wealth and great poverty living within a short distance from each other. 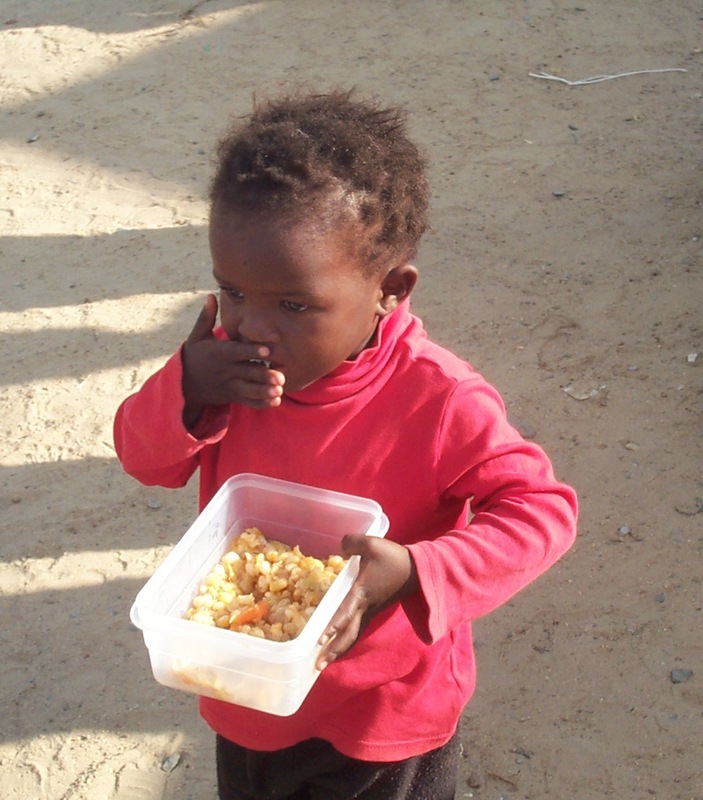 Whenever we go to South Africa we visit a feeding program that we support. 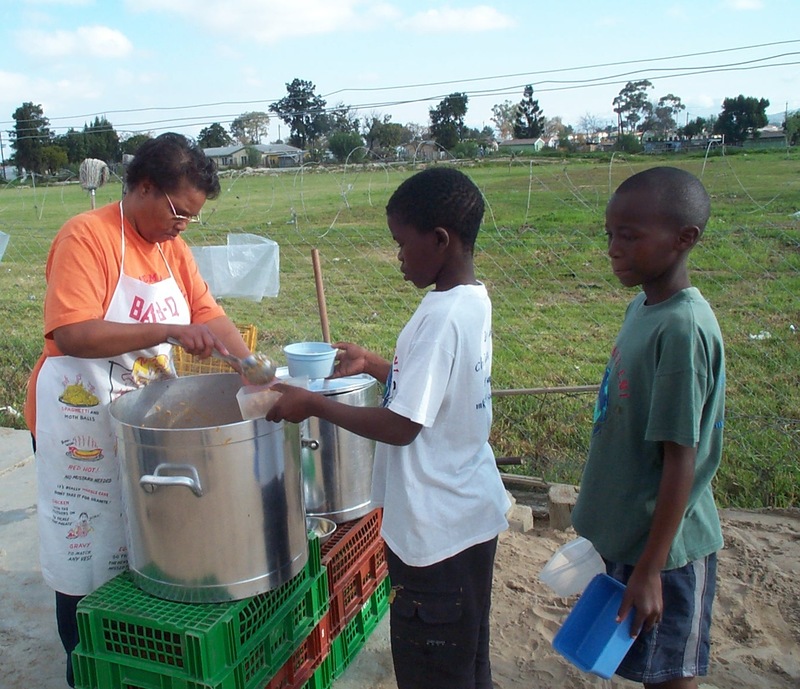 They provide 6500 meals a week, not only to children, but they also provide nutritious meals for patients from the local clinic that are HIV positive or have TB. The clinic is the brick building with the green roof. After visiting the project, I felt a little guilty about going on the safari. When we go to South Africa it is typically all work. Our friends wanted us to have some fun this time, so they arranged for us to go to the Aquila Private Game Reserve. It is an incredible place! The room we stayed in was luxurious and the food was fantastic. With the very busy year we have had so far and with more to come, it was a nice change of pace. the other people in the vehicle with us! Lunch buffet after the safari. favorite side dishes from South Africa. One of my favorite things about traveling is trying new foods. Bobotie is a recipe I have every time I travel to South Africa. I just love it! Bobotie has a slightly sweet taste with a light curry flavor and an egg topping. In 1954, Bobotie was declared the National Dish of South Africa by the United Nations Women's Organization. Everywhere I travel, I try to purchase a cookbook with the local recipes in them. Then I can relive the trip through the smells and tastes of their dishes. The Bobotie recipe I am sharing, did not come from a cookbook but from a friend who was kind enough to prepare the dish for us then give me her family recipe. This recipe has more ingredients than I typically use, but it is still simple and easy to make. Preheat oven to 350 degrees. In large skillet, saute onion in vegetable oil over medium high heat until softened. Add ground beef. Cook until browned. Add garlic, turmeric, curry powder (add a little at a time, tasting as you go, until you achieve the desired flavor), and salt to taste. Add bread, lemon juice, and brown sugar. Mix well. Cook until heated through. Pour into a 2 quart casserole dish. In small bowl, beat together egg and pinch of salt. Pour over top of meat mixture. Arrange bay leaves on top. Bake 10 minutes or until the egg is set and top is slightly browned. On Tuesday, I will post more pictures from my trip to South Africa. 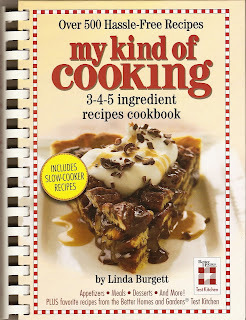 The winner of June's drawing for a free copy of MY KIND OF COOKING COOKBOOK, is Pam of Pam's Midwest Kithcen Korner. The next drawing will be July 2nd. Sign up as a FOLLOWER for your chance to win! 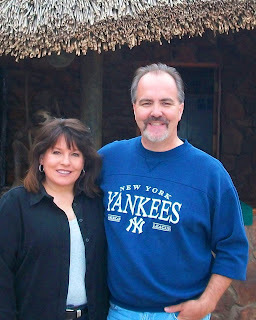 My husband Stan and I, just returned from a two week trip to South Africa, where we mixed business with pleasure. It is hard for me to believe, but this was my 10th trip to South Africa in 12 years. For the business side of the trip, we went to meet with the local Cape Town board and leadership team of Passion Play Ministries International and to attend their first banquet. Below is a picture of part of the leadership team. and went on a safari at a private game reserve. Along the way there was lots of food! My new favorite place to have seafood in South Africa, is a quaint little place called Cafe Orca. It is located on the beach, in a town called Melkbosstrand. My husband and I ordered the Seafood Platter for Two. It was incredible! They served up two line fish (catch of the day: Cob with Cajun seasoning and Bluenose with butter sauce), twelve prawns, fried calamari and mussels in a creamy garlic sauce, served with savory rice and cheesy cauliflower with mixed vegetables. 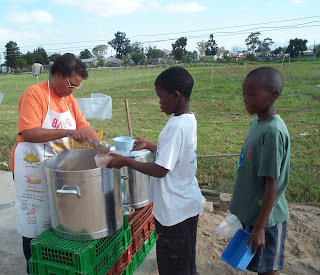 On Friday I will post one of my favorite recipes from South Africa.